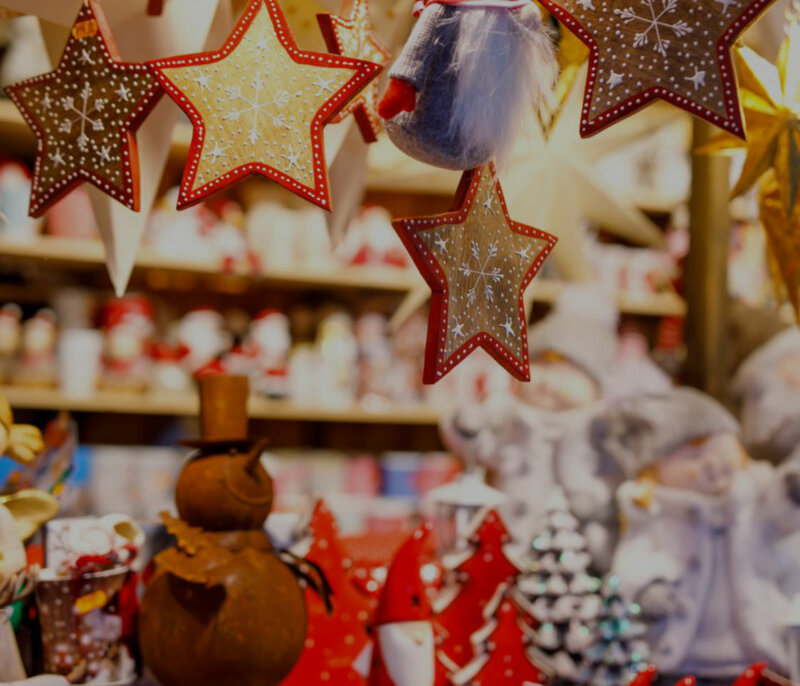 When it comes to increasing store margins for the holidays, the smallest updates can make some of the biggest differences. The holiday shopping season is the best time of year to drive unplanned purchases in-store: about 40 percent of respondents to a survey from A.T. Kearney reported that they spend more money than they planned for in retail stores, versus 25 percent reporting that they did so online. Read on for some fresh retail updates that will help your business drive sales this holiday season. Displays can increase sales by 540%, according to research from Russell R. Mueller. So, if your retail neighbours are upping their display game for the holiday season, you better be ready to make an eye-catching statement to grab the gaze of passers-by. Your window display creates the first impression that potential customers have of your store, and is where you’re going to inform them of best sellers, gift ideas, and promotions for the holiday season. To find out what you’re up against, go on a research expedition to see how your competition is dressing up their displays and find some fresh inspiration to turn the tables in your favour. If you discover that your competition is using seasonal colours and you aren’t, your customers may not even clue in that you’re participating in any holiday offers. Research shows that people make up their minds to buy within 90 seconds of their initial interactions with either people or products, and about 62-90% percent of the assessment is based on colours alone! When it comes to driving sales, good visual merchandising can act as your ‘silent salesperson’ – giving customers everything they need to know to make a purchase decision. You can make a visually appealing display by grouping products by colour scheme, or add a human element to your merchandising by telling a story with your feature products. How items are arranged in a store can spark different ideas on how they could be used. For a grocery store, this could mean bringing popular items from different sections together in a display to showcase an inspiring combination for a food platter or seasonal recipe. An end cap is a simple, effective tool for upselling featured products or categories, and it can work some real magic on sales. Don’t let the unthinkable happen – not being able to make the sale because you ran out of inventory during the busy holiday season. Plan your orders carefully so that the products you’re promoting are always available, or you put your credibility as a business on the line. Make sure you’re always fully stocked – in the back room and on display – because your customers want to see products, not bare shelving! So you’ve stocked all the inventory you think you’re going to need – now, where do you store it all? You may need to invest in some temporary shelving in your backroom so your sales floor isn’t overcrowded with your abundance of products. To keep on top of the whirlwind of activity this time of year, managing your stock is essential to making sure that your customers can access everything you have to offer them. Entice shoppers to your store by offering to make their lives easier at this busy time of year. An extra service counter can be leveraged for multiple uses, including gift wrapping, product sampling, or as a dedicated customer service desk. Gift wrapping not only eliminates work for your customer, but also influences them to see your products as gift-worthy, especially if you display some pre-wrapped items in an attractive fashion. If you use your extra counter for samples or product demonstrations, you can increase intent to purchase by helping customers visualize themselves using the product or enjoying it again in the future. When it comes to boosting consideration, a small taste (actual or metaphorical) can go a long way. While your seasonal display window will be the the first impression customers make of your store, the checkout counters are usually the last – and the length and movement of a checkout line can make or break a shopper’s purchasing decision, even if they had an enjoyable experience browsing and finding everything they needed. If you’re anticipating significantly higher traffic than usual, adding an extra checkout counter or two can safeguard you against abandoned carts and ensure that customers will return to shop with you again. You may think “anti-theft” always means investing in cameras, but you have other options too. Your store fixtures can make the difference between encouraging and warding off thieves by making it easier for your employees to spot smuggling. Mirrors and proper lighting can help eliminate blind spots where shoplifters love to hide, and housing small and expensive products in locked cabinets give your staff more control over who’s handling valuable merchandise. We can conduct an audit of your store to help you understand where you’re at risk, and find the right answers to choose the security features that are right for you. Surprisingly, the tricks that really work to encourage impulse buying are quick hits you can achieve by giving us a call. CBSF can help you choose the updates that will make the biggest impact on your sales this holiday season. From one-off orders to multi-location retail solutions, we will do whatever it takes to make the upgrades that will make a difference. Give us a call at 905-264-0917 or contact us.